Who keeps helping the old shoemaker and making such wonderful shoes while he sleeps? 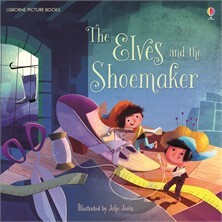 And how can the shoemaker repay their kindness? Find out in this joyful retelling of the classic fairy tale for little children, gorgeously illustrated on every page by John Joven.